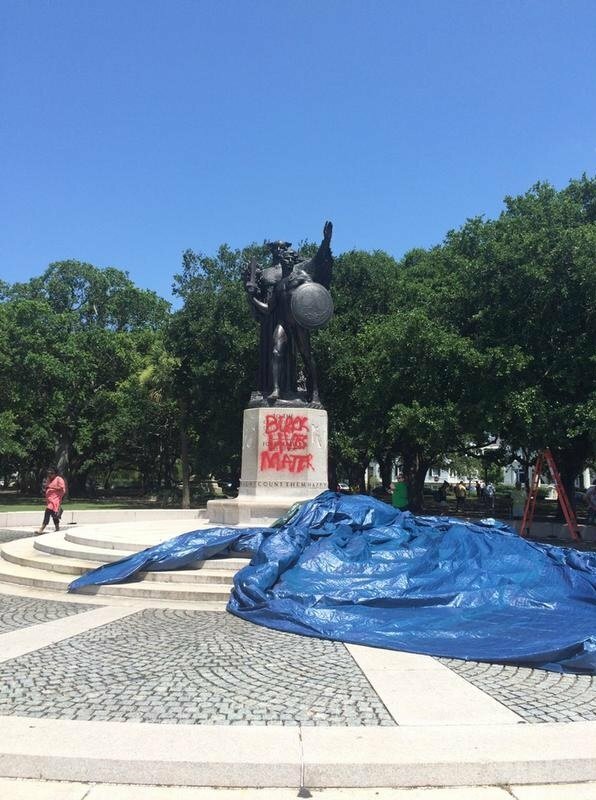 Protesters vandalized a Confederate statue in Charleston, South Carolina over night on Saturday. 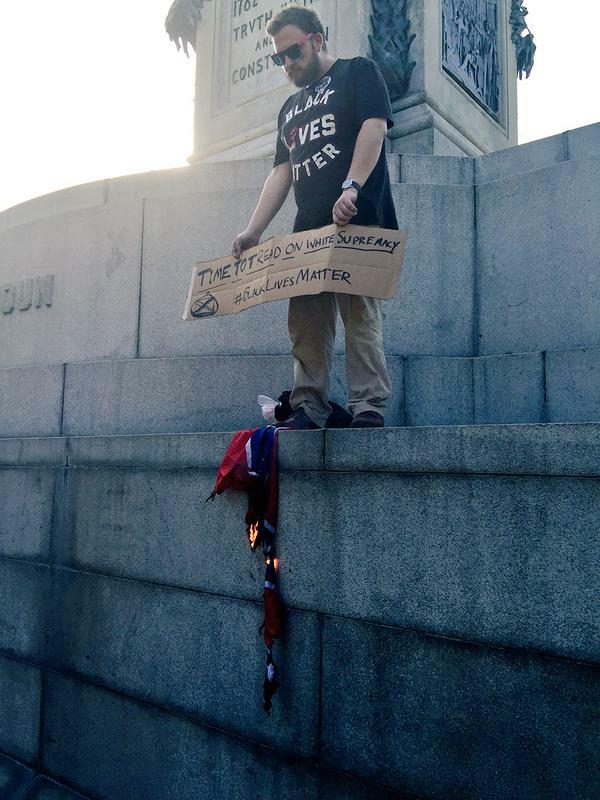 The protesters wrote “black lives matter” on the base of the Fort Sumter statue. Barry Tighe from Code Pink was protesting the statue this morning. A Confederate statue in Charleston, South Carolina, was vandalized with graffiti Sunday, days after nine people were shot and killed at the city’s historic Emanuel African Methodist Episcopalian Church in what was apparently a racially motivated attack. The monument was defaced on the same day Emanuel AME opened for its first service since the shooting. The people of Charleston are hoping professional protester returns home to Ferguson or Minnesota.